At Bander Dental Group, our Grand Rapids dentists are experienced in providing oral surgery. Our goal is to give you the most comfortable care possible. 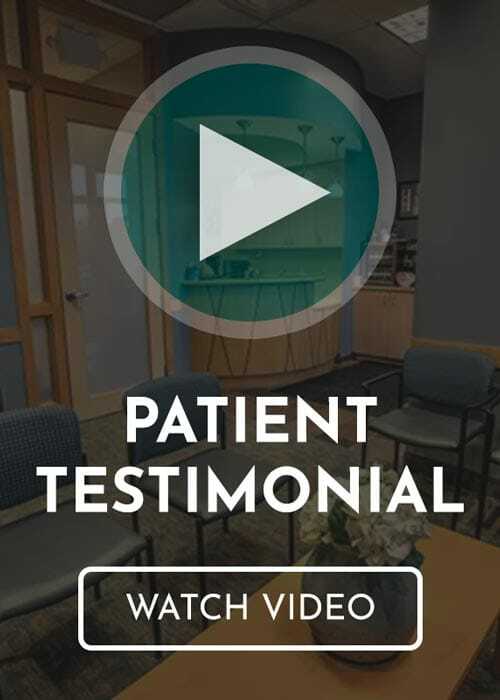 We’ll take the time to answer your questions and explain your treatment plan before your oral surgery procedure so you can feel confident that you’re in good hands. Below are a few of the procedures we offer. For oral surgery in Grand Rapids, MI, you can trust our professionals at Bander Dental Group. We’ll do everything in our power to make your oral surgery a calm and quick procedure. To set up a consultation, request an appointment online or give us a call at (616) 949-5980. There are a few reasons a tooth might need to be removed, including crowding, impacting, or decay. Our team will let you know your options and will perform a tooth extraction if necessary. Dental implants are a secure, sturdy way to replace a missing tooth or teeth. With proper care, your implants can last a lifetime. If you decide that dental implants are right for you, our team can place them securely in your mouth. If you have a “gummy” smile, a crown lengthening procedure will remove excess gum tissue and give the appearance of longer teeth. This oral surgery procedure is helpful if you suffer from thinning gum tissue or have an exposed root. Our team will graft new gum tissue over the affected areas, eliminating sensitivity and preventing further gum damage. If you don’t naturally have enough bone tissue for dental implants, a bone graft can augment your bone structure and stimulate bone regeneration in targeted areas. Our Grand Rapids dentists will guide you through preparation for oral surgery. Know that there might be limits to what you should eat or drink before the procedure, and depending on the type of sedation dentistry used, you may need to have someone drive you home after your oral surgery is complete. Welcome to the Grand Rapids MI, dental practice of Samuel T. Bander, DDS. We offer spa-like amenities and cutting-edge dental technology to serve our valued patients. Learn more about our Grand Rapids dentist!